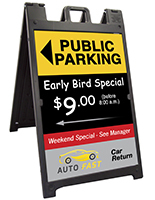 These Sign Supplies are Practical Tools for Any Location that Advertises! Showcase Retail Signage, Directions, and Other Information for All to See! These Sign Supplies and Sidewalk Signs are Selling Fast so Get One Today! 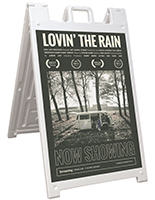 These sign supplies, or sandwich boards, are quite easy to set up and use. 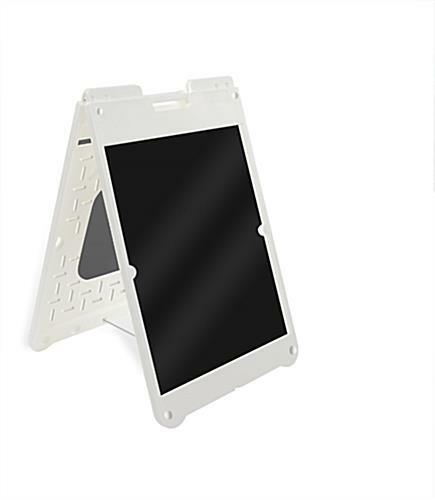 The sidewalk signage systems feature foldable designs that provide a tool-less assembly process. 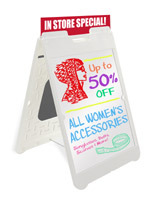 The sign supplies include (2) wet-erase panels that enable users to customize hand-written or drawn promotions in minutes. In addition, the surfaces are quickly wiped down for fast content changes. The sign supplies are made from high quality plastic, which makes them perfect for exterior applications. Just pay attention to the weather, as excess moisture may cause the marker ink to run. 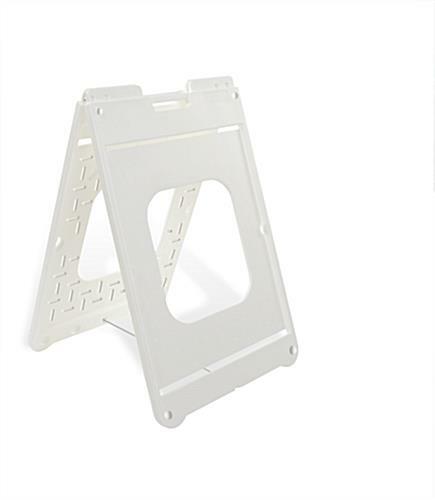 The sign supplies are each equipped with a built-in handle at the top that makes transporting the units much easier. The folding structures also come include a practical metal bracket that braces the legs, keeping them from closing up while on display. 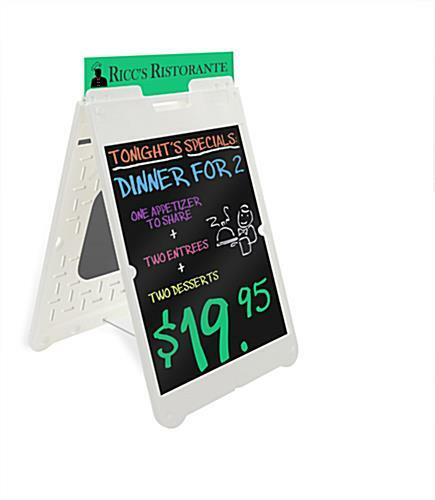 The sign supplies are essential for restaurants, real estate agencies, retail stores, and more. 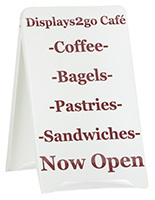 Get more exposure to your most important signage with these quality sandwich boards.